Jimmy McKay from PT Pintcast recently interviewed Anne Moseley about PEDro. In the podcast, Jimmy and Anne discuss some of the features of PEDro that make it a useful tool for busy clinicians. They also preview some of the plans for PEDro in 2019, including the #MyPTArticleOfTheMonth challenge and celebrating PEDro’s 20th birthday. 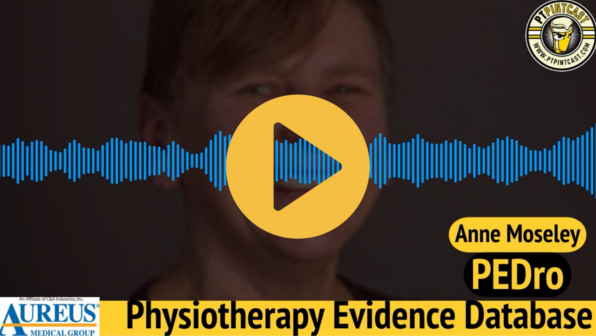 To commemorate 20 years of informing physiotherapy practice, education and research, PEDro will be running a campaign to identify the five most important trials published in 2014-2019 and launching a new database for diagnostic test accuracy.